...it should be an insight into life - albeit a life transformed after the intensity of what you'll have been through after listening to any complete performance of his symphony - rather than a leaving of it. 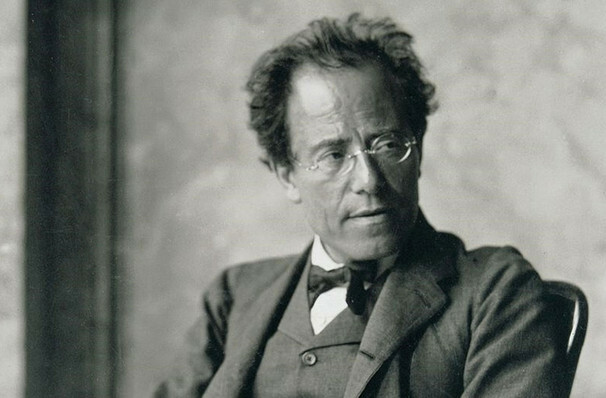 Why See Los Angeles Philharmonic - Dudamel Conducts Mahler? The baton of renowned Venezuelan conductor Gustavo Dudamel twirls and flicks around Mahler's exquisite melodic musings on mortality in a rousing Los Angeles Philharmonic performance of the composer's final symphony - the legendary Ninth. Written in 1909, towards the very end of the late romantic era icon's life, the progressive piece is an earth-shattering epic that wrestles with not only his own forthcoming death, but the passing of his beloved daughter, as well as the end of tonality in classical music at the time. Transitions, changes and ephemera, this symphony moves from moments of breathtaking sorrow to uplifting reveries in the blink of an eye. Bridging the existential gap between life and death, tranquility and restlessness, and sound and silence, its music can either be seen as the ultimate hymn to the end of everything, or life affirming love song to life. The finale is perhaps the most soul-stirring example of bittersweet resolution in all of the genre when it becomes achingly slower and softer, concluding with its last bar marked 'ersterbend' or a long pause. Sound good to you? 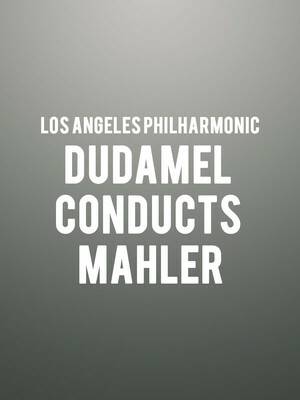 Share this page on social media and let your friends know about Los Angeles Philharmonic - Dudamel Conducts Mahler at Walt Disney Concert Hall. Please note: The term Walt Disney Concert Hall and/or Los Angeles Philharmonic - Dudamel Conducts Mahler as well as all associated graphics, logos, and/or other trademarks, tradenames or copyrights are the property of the Walt Disney Concert Hall and/or Los Angeles Philharmonic - Dudamel Conducts Mahler and are used herein for factual descriptive purposes only. We are in no way associated with or authorized by the Walt Disney Concert Hall and/or Los Angeles Philharmonic - Dudamel Conducts Mahler and neither that entity nor any of its affiliates have licensed or endorsed us to sell tickets, goods and or services in conjunction with their events.